Several of my friends are preggo and are waiting to find out the baby's gender. 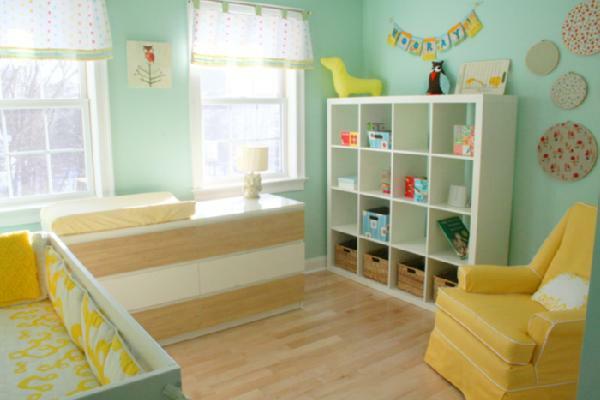 Gender neutral used to mean shades of green and yellow but there are other choices out there. Here are my top 5 color schemes for a fabulous boy or girl space. Cream and White - If you are a neat freak, this combo is for you. Shades of white, cream, beige and tan can be mixed to create a luxurious space. Since the colors are all very similar choose fabrics with texture to create a more dimensional space. Love this oversize mirror - the great thing about white is you can spray paint everything to match. Use a high-gloss finish for more impact. 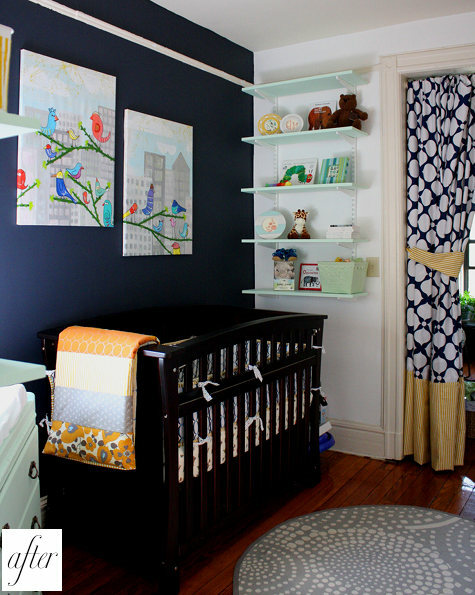 Navy and White - Not just for nautical nurseries, navy and white can easily be accented with green, orange or pink once the baby is born. 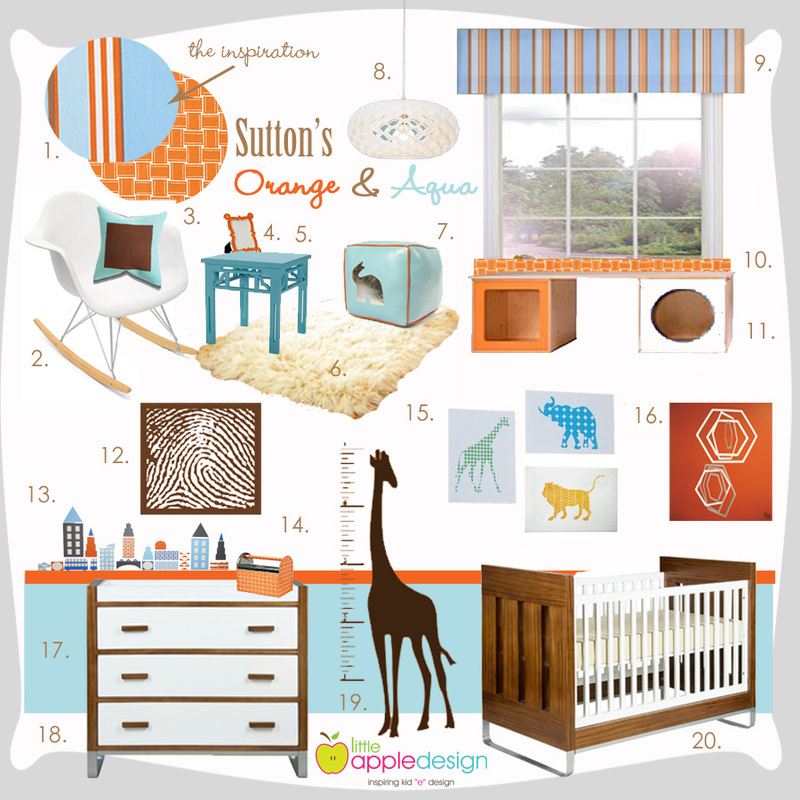 Orange and Aqua - Depending on the fabric and furniture this color combo can go either way. This design board uses stripes and heavy furniture that make it lean a little towards boy but that can easily be tweaked with a softer pattern rug and delicate lamp. 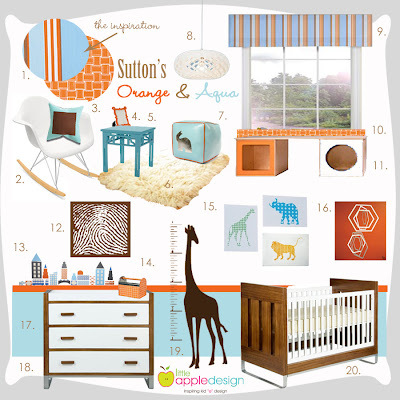 The drapes in this nursery have a luxurious feel and the animal skin rug adds a touch of softness. 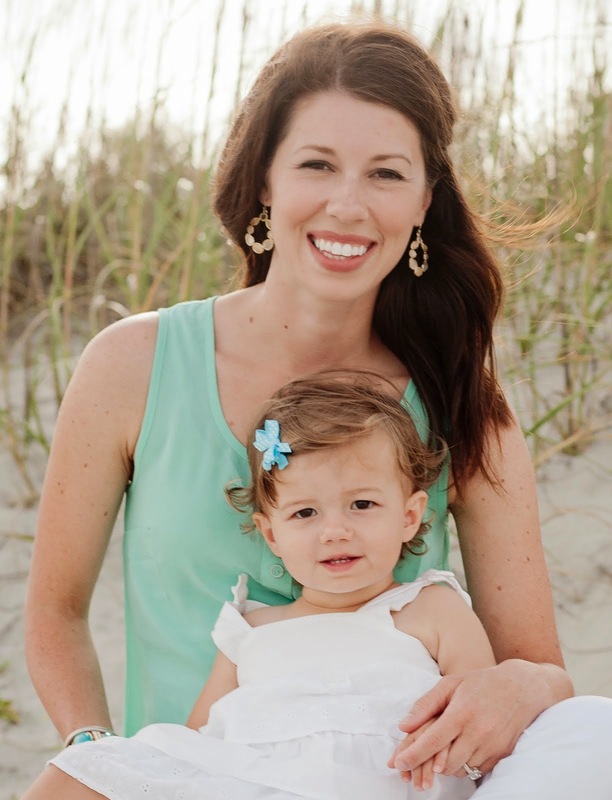 Yellow and Gray - Yellow is a hot color right now, in all shades from bright to pale. Once traditionally mixed with green it also looks great with gray and white for a modern feel without being too cold. 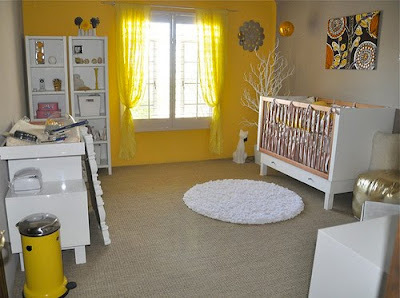 This room incorporates yellow and white with a dark gray, almost black. Yellow and Aqua - I've been seeing a lot of aqua walls lately and the color is just so soothing. 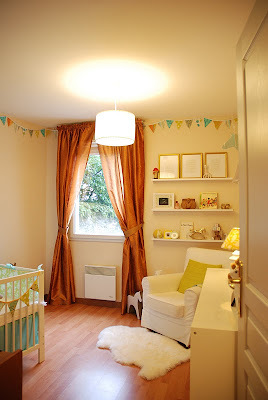 It makes even the smallest spaces seem light and airy. the bottom one is my favorite. i'm kinda obsessed. They are all very nice. The one with the shelves so close to the bed concerns me because of the danger of falling objects.